Have you been researching affiliate marketing? 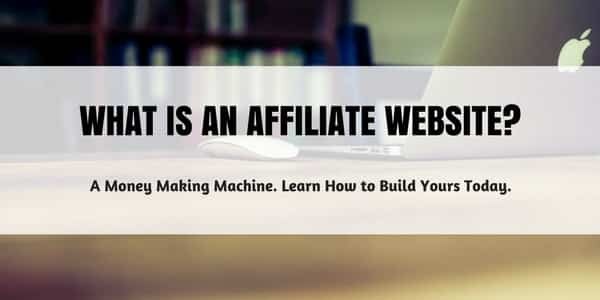 Maybe you’ve heard it’s a great way to make money online and are interested in learning more about what is an affiliate website. Or maybe you want to know how you can make your own income producing affiliate website today. People want to know about affiliate marketing and how it works. Why is this a hot topic? 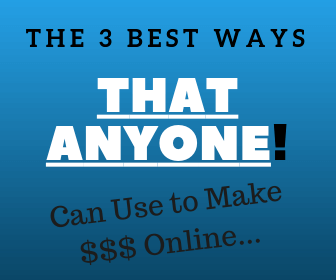 Because affiliate websites can make you a ton of money! And the majority of affiliate marketing programs require that you have your own website in order to join their affiliate network. Another major perk to creating an affiliate website is that it is a very inexpensive business to start up. You can look at the cost difference between an affiliate business and a traditional “brick and mortar” business right here. You’ll see two major differences between these two business models. Most notably, the cost of start-up and the implied risk. We’re talking under $500 to $1,000 dollars for the first year of an affiliate website business verses $10,000 to $100,000 dollars for a traditional business. With an affiliate website business, your risk is low and your earning potential is quite high. 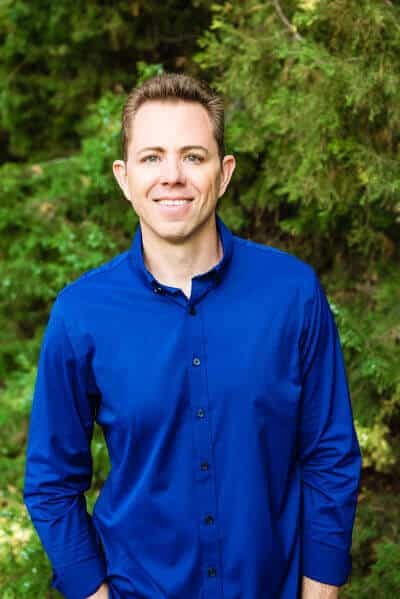 Now there are a good amount of factors that go into making a successful affiliate website (and I’ll discuss this later below) but if you can imagine the potential in affiliate marketing, then you’re halfway there. The benefits to owning your own affiliate website. What it takes to create a successful online business. And give you a step-by-step guide to create your own successful affiliate website. But you should know there’s more training material inside my recommended training course. Now that we got that out of the way, lets dive in. What Is An Affiliate Website Exactly? 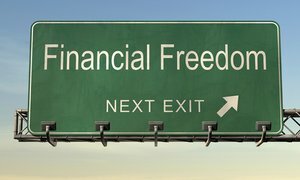 An affiliate website is any website or blog that utilizes affiliate marketing techniques. Well, any website with advertisement banners is a form of affiliate advertising. Whenever you see a link that takes you to a website where you can purchase a product or service, again, is another style of affiliate marketing. Affiliate marketing is performance based advertising. In other words, an affiliate website will only receive a commission if the visitor they send goes on and makes a purchase. So for example, you click on a link from one of your favorite blogs or websites and that link sends you off to say…Amazon. Then if you buy something from Amazon, the affiliate site would earn a commission from whatever products you purchase. In affiliate marketing, there are four players. 1). The Merchant – The person providing the product or service. In our example above, this would be Amazon. 2). The Affiliate Network – Contains the products from the merchant or a series of merchants. They also handle the payments and sales commissions. Again in our example, this would be a subsidiary company of Amazon, called Amazon Associates Program. 3). The Publisher – This would be the website owner who is publishing the content to market the product. 4). The Customer – The website visitor that clicks on the Publisher’s advertisement and then is taken to the sales page of the Merchant. Affiliate marketing websites use tracking links and banners throughout their websites to market products. If the website sees a lot of traffic, that means more potential customers which equates to higher potential sales and increased revenue. Building affiliate websites is a bit of an art form – at least you want to know what you are doing. It’s far more than just throwing up a bunch of banner ads and affiliate links throughout your website. 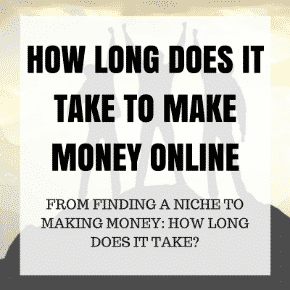 The first thing you need to know is – just like any other business – time, dedication, and hard work are key to producing earnings through your affiliate website. In addition, there are several things that you need to understand in order to get your site ranked on the first page of Google, Yahoo, and Bing. Will make the difference between profits and failure for your affiliate website. Thankfully, it’s not that complicated to get into. It’s not like we’re asking you to learn a new language. You want to do this right from the start so that your site won’t come off (in the eyes of the almighty Google Monster 🙂 ) as an affiliate spam site. Instead, you want an affiliate website that is based on a solid reputation and provides value to your audience. So if you are looking for a get-rich-quick scheme, then affiliate marketing isn’t for you. You really need to give yourself a good 3 – 6 months to build your affiliate website. And just like doctors, lawyers, architects, or any other professional career, you need to be educated. Become Awesome at Online Business: 100% Free Training! When you create your own affiliate website, you’re actually building a virtual online store or business. The internet never takes a break, it functions 24/7, and so will your affiliate website. This, too, is one of the greatest advantages to having an online business versus a traditional business. My favorite benefit of creating an affiliate website is that you generate a source of passive income. Now obviously it takes work to create the site, build it out, generate traffic and so forth, but once you have your site built up, it can produce an incredible amount of money on autopilot. 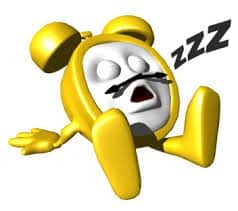 There’s nothing’s better than waking up to ten new sales that were generated last night while your were sleeping. Last week I took a well deserved vacation to the coast. After going for a jog and swim at the beach, I returned to my hotel to see 5 new sales. Be your own boss – When you create an affiliate website, you’re actually creating your own online business. No more traffic jams – This is another major time and money saver. To see how much money you can save just in transportation, check out this post. How Big Are The Commissions? Commissions can be structured as a set price, or they can be done as a percentage of the purchase price for the product in question, it depends on the merchant. 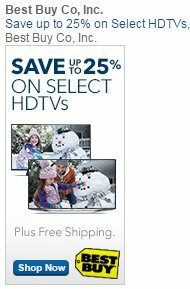 The range can vary from 1% to 75% of the sale price depending on the product. 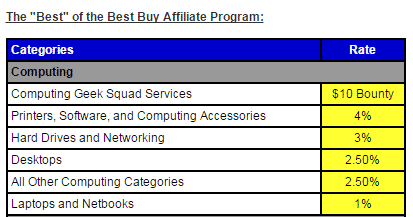 Below is a look at the commission structure of a few products from the popular retail outlet Best Buy. A website is the foundation to any online business and can eventually turn into your own brand. Most affiliate programs require you to have a website in order to be approved as an affiliate partner with their company. Now there are a few programs that allow you to be an affiliate without a website. But this isn’t a good move, especially for people who are new to affiliate marketing. You would be forced to rely on PPC (pay per click) campaigns or spamming social websites like Facebook, Twitter, etc. If you’re new to affiliate marketing or PPC campaigns like Google Ad-sense or Facebook, then you could lose a great deal of money by not knowing what you are doing. You can learn how to use these programs but first you need to build the foundation to your website. I built the foundation to this site in 30 hours. It took me 5 days and I worked 6 hours per day. It was a fun process and super easy. That is, of course, with the right support and guidance. Don’t let putting up a website intimidate you. This used to be my problem. In today’s tech savvy world you can put up a website without much hassle. You can learn to put a site up for free in under a minute by reading this post. If you want to get into affiliate marketing and start building your own affiliate website then you want to do it right from the start. Build a Website – You can review the fundamentals of building websites right here. Decide on a Niche for your website. This is really just the theme or topic to your website. This could be nutrition, fitness, building model airplanes, whatever. There’s millions of niche ideas to tap into. Write quality content based on your niche and products you support. Bring traffic to your site through SEO techniques and Keyword Research. Monetize your site – This is where we add Affiliate Programs, Google Ad-sense, or sell products directly on your affiliate website. You want to build an affiliate website that is successful and makes money, right? So create a website that gives value to your audience. Value is established through quality content that helps somebody out with something. Most of the time, this includes helping your audience come to a decision about a product or service. This is accomplished with product reviews or articles based on your own experience with said product or service. If you have a professional website, provide users with valuable information and then link your website correctly, you will create a money making affiliate website. So now let’s review Affiliate Programs, plus I’ll show you how to add affiliate banners and links to a website. Need some supplemental online income while you build your affiliate website? Check out our recent post to learn some clever ways to earn easy money online. There are thousands of affiliate programs available. 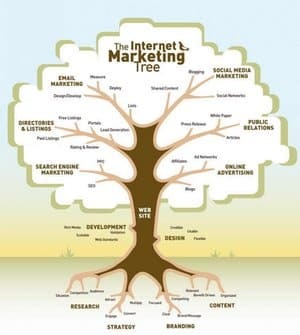 You can get a better understanding of how to find these programs by reading this article, Internet Marketing Online Affiliate Programs. I’m not going to go into all the programs available because that would take us about a year to get through. There are affiliates for almost every product. Just one little affiliate program that we mentioned earlier was through the gigantic retailer Amazon. eBay also falls into that category. For the purpose of demonstration, I’m going to use the affiliate network Rakuten LinkShare, formally known as LinkShare. They are one of the top affiliate networks available and are very easy to use. Below is a video where you can see how I add Banner Ads to the side bar and link content. It’s really pretty easy to do. Check it out. The number one piece of advise I give people who want to start an affiliate website is to get help. You can certainly put up a website on your own, write some content and try your hand at ranking your website or pay for website exposure, but this is not the path to success. It’s the path to heartache and failure. If you’re going to learn how to build an affiliate website that achieves natural rankings and provides your users with valuable content, get a proper education. You’ll save yourself time and money by working with professionals who have been making successful affiliate websites for years. Click Here to Check Out My No.1 Recommendation!